For this example I will use a simple structure with a person’s name as the primary record type, and his/her related information which will be saved in a different table. Step 1. Download CodeRunner and model classes. First download CodeRunner. 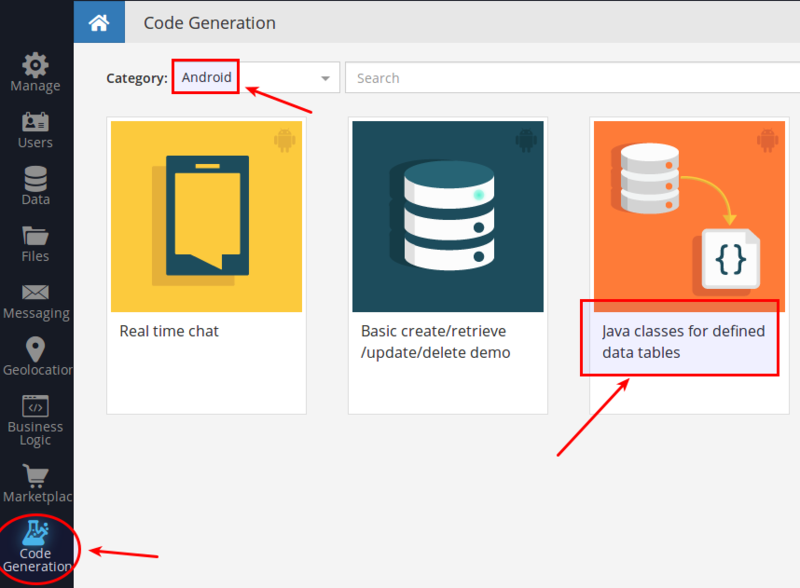 If you’re not familiar with CodeRunner or server business logic, you can see an overview here. Next click the GENERATE button to generate and download the code. 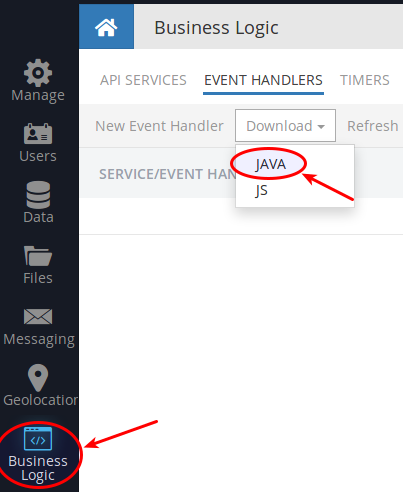 You will see the code download as a second “.zip” archive file, named “AppName-Data-generated.zip”. After downloading the files you need to unpack the zip-archive file that contains CodeRunner (the first zip you downloaded), and to open it as a project in “IntelliJ IDEA”. Unpack and open the second archive file, then starting from the src folder, drill down to the data folder as shown below. Place the package data in the com.<app_name> package in the opened project. 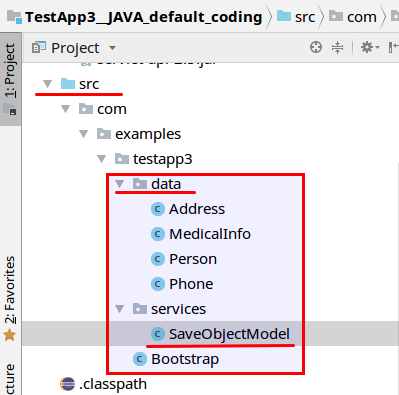 Then create a Java class SaveObjectModel in package services . Step 4 below includes the SaveObjectModel class listing. If you would like to use a pre-packaged source code listing, you can download it from here. The CodeRunner content from the pre-prepared zip file looks as shown in the screenshot below. If you decide to use the pre-packaged code, you can skip to step 5. 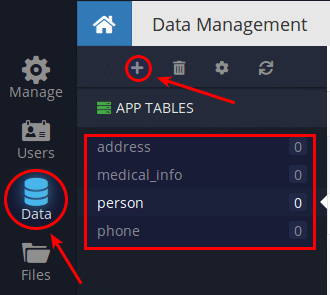 Once the method is invoked, switch to the Data screen and inspect the saved objects in the Person , Address and Phone tables. With the approach described in this article, all of the routine work for saving complex object data models into multiple tables is simplified, reducing the job of the application to a single API call. If you have any questions about this procedure, please post your questions in in our support forum (https://support.backendless.com) or on Slack (http://slack.backendless.com).